Join us on Thursday, July 28 at Discover 606 in Chicago for our next Work Design TALK! We’ll be discussing designing for choice in the workplace. The event is IDCEC-approved. Tickets are available here. Join us on Thursday, July 28 at the Discover 606 office in downtown Chicago for our next Work Design TALK! Top designers will address topics like how design can influence the level of choice in a workplace, which furniture solutions allow for more choice by flexing to an employee’s needs, and why designing for choice will increase clients’ well-being and satisfaction at work. 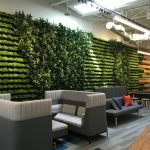 We’ll also look at the best ways to advise clients, whether through change management strategy or other tools, about adjusting to and utilizing a new space that supports a variety of places and ways to get work done. The discussion will be moderated by our special guest, Cheryl Durst, the executive vice president and CEO of IIDA, the International Interior Design Association. After 10 years of practicing interiors in New York City, Arturo relocated to Chicago in 1996, where he joined IA Interior Architects as design director. Over the past 19 years, he has worked diligently at growing IA’s Chicago design team and portfolio of work. Arturo’s design leadership extends beyond the Chicago office, where he led the firm’s Design Roundtable and promoted design across the firm for numerous years. He is a past trustee of the Chicago Chapter of the Design Industries Foundation Fighting AIDS Board of Directors and former co-chair of “Dining-By Design”. He is also a former member of the U.S. General Services Administration Design Excellence Program. With extensive experience working for real estate and design companies, Chris works to build long-term relationships with clients from corporate, academic, and government settings. Chris has particular expertise and focus in looking at workplaces and evaluating qualitative and quantitative factors to inform strategic decisions. In addition to his workplace strategy expertise, he has a background that combines sustainability consulting, urban planning, marketing, communications, and research. Chris is a LEED Accredited Professional and an active member of the Urban Land Institute, and he has held advisory board and committee positions within the ULI Chicago District Council. As PBD’s design director, Jen’s award-winning aesthetic prowess is matched only by her inscrutable dedication to the craft of design. With nearly half of her two decades of design experience rooted in PBD, Jen’s experience runs deep, and affords her the ability to anticipate and respond to a client’s needs as they evolve. Her enthusiasm and creative approach to project evaluation, space planning, design development, furniture, and materials selection are evident in each project she touches. Informed by style and inspired by substance, Jen is always prepared to take on new challenges, exceed expectations, and create alongside you something truly amazing. Gary is Principal, Advisory Services at NELSON where he leads workplace innovation integrating service design, information design, and experience design. NELSON is part of a 600-person, global architecture, design and consulting services organization with teammates in 25 locations around the world and experience in a broad range of industries. 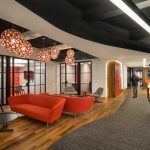 NELSON works with more than 20 percent of companies in the Fortune 100, and its interior design practice is ranked in the top 10 overall Interior Design “Design Giants” and is number four focused on workplace design. With a Gensler career spanning more than three decades and a portfolio of more than 40 million square feet, Dean leads the planning and design of corporate campuses, commercial office buildings, workplace interiors and mixed-use developments. A highly regarded workplace performance specialist and frequent speaker at industry event, Dean leverages his unique blend of education in psychology, sociology, and architecture to offer strategic real estate and design insight. He is co-author of The Commercial Real Estate Revolution and on the advisory board of the University of Houston Graduate School of Real Estate at Bauer College. Dean actively participates in the Houston chapters of AIA, ULI, NAIOP, and CoreNet. Drinks and hors d’oeuvres will be served. Get tickets now to snag your seat! If you are interested in sponsoring this TALK, or another upcoming TALK, please email michelle.weiss@workdesign.com for sponsorship details. Our next event is Wednesday, June 22 at Arcadis and CallisonRTKL's office.